Our tangible resources, our kete-aronui. Kete is a woven flax basket or satchel that is used to store precious things and things of importance. This is our basket of treasures to share with you. 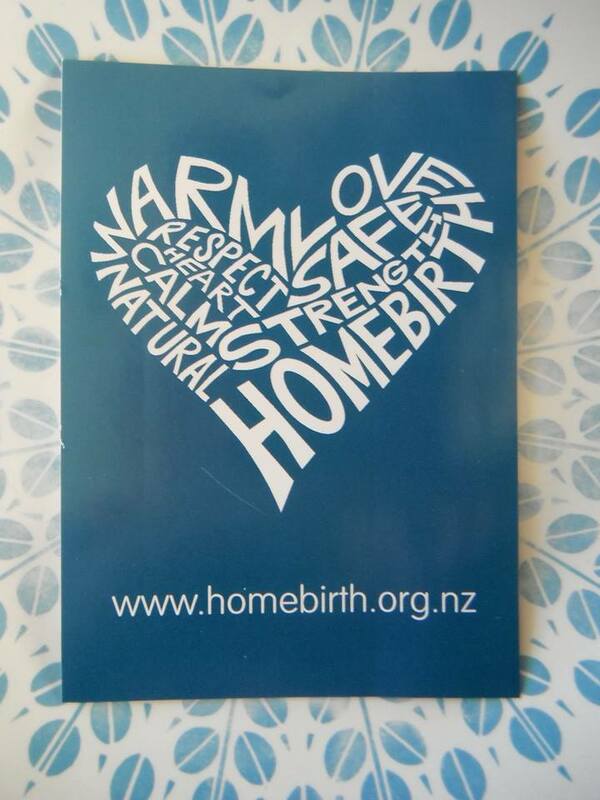 Latest re print of our homebirth stickers. Available in four lovely colours. This bookmark will be great for putting in your books so you never miss a page. 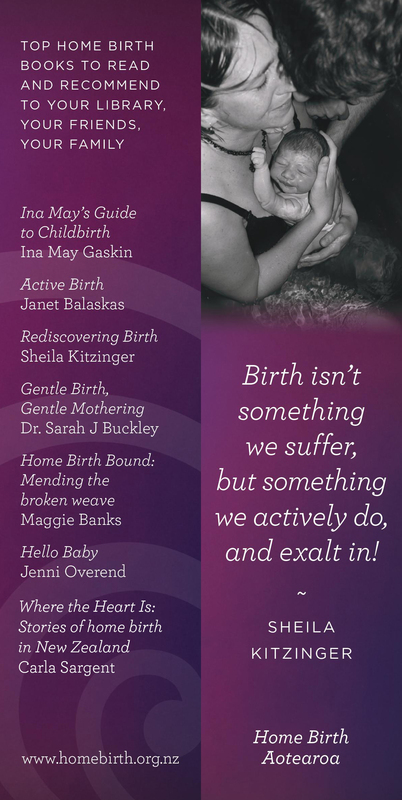 Includes details on 5 excellent Home Birth books on the back. Time for some library espionage. Such a great t shirt retailed at $20 each. 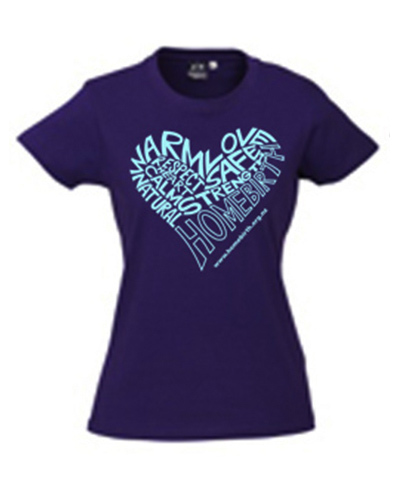 Out of stock currently but watch this space for more designs.